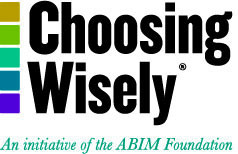 In September 2013, the Society of General Internal Medicine (SGIM) released a list of specific tests or procedures that are commonly ordered but not always necessary in general internal medicine as part of the Choosing Wisely® campaign, an initiative of the ABIM Foundation. The list identifies five targeted, evidence-based recommendations that can support conversations between patients and physicians about what care is really necessary. In 2016, SGIM was asked to make a scheduled update to those initial recommendations. SGIM leadership worked with a subset of the Evidence Based Medicine Task Force on a robust process of review and comment on the updated text. The list below reflects the revised recommendations from SGIM. 1. Don’t recommend daily home finger glucose testing in patients with Type 2 diabetes mellitus not using insulin. 2. For asymptomatic adults without a chronic medical condition, mental health problem, or other health concern, don’t routinely perform annual general health checks that include a comprehensive physical examination and lab testing. Adults should talk with a trusted doctor about how often they should be seen to maintain an effective doctor-patient relationship, attend to preventive care, and facilitate timely recognition of new problems. 3. Don’t perform routine pre-operative testing before low-risk surgical procedures. 4. Don’t recommend cancer screening in adults with life expectancy of less than 10 years. 5. Don't place, or leave in place, peripherally inserted central catheters for patient or provider convenience. Interested in Learning More About the Choosing Wisely Recommendations? Read the February 2017 Presidential column in SGIM's Forum, Choosing Most Wisely, by Eileen E. Reynolds, MD.